It’s always heartbreaking to hear about encounters between pet dogs and coyotes, as recently happened in Wheaton. We want to remind folks of some simple ways to keep their pets safe from the native wildlife that also call DuPage home. 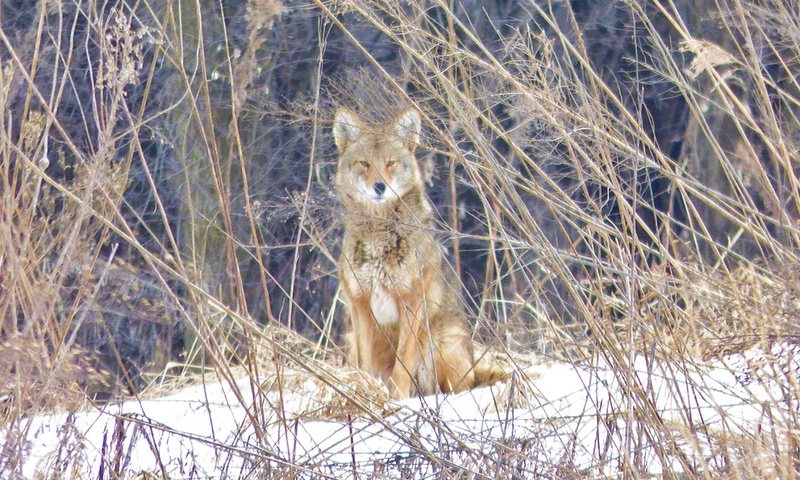 For many years, the Forest Preserve District of DuPage County has been informing the public about coexisting with coyotes and providing pet owners with information about how to keep their animals safe from coyotes. 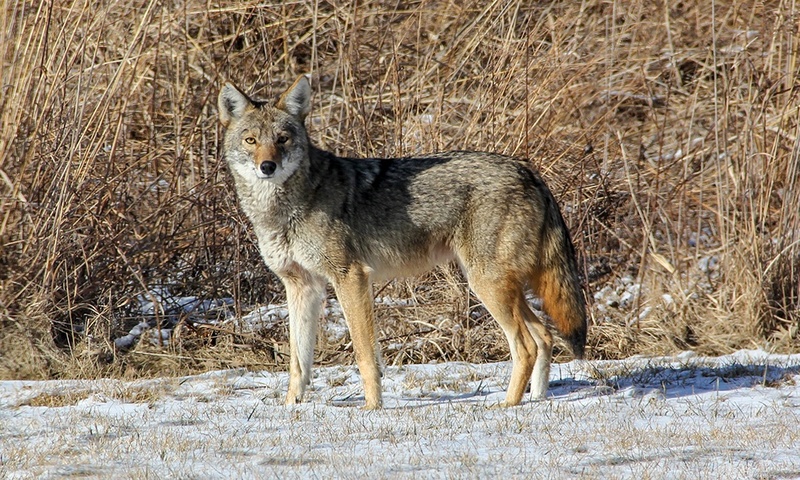 Coyotes are prevalent everywhere in the Chicago region. Even if you haven’t spotted one in your neighborhood, they are present. Dog and cat owners need to be aware that coyotes live in their neighborhoods and can appear any time of the day. For cats, it’s best to keep them inside for their own well-being as well as that of local native wildlife. Many cats are excellent predators, and their instinct to kill can be very strong even if they are well-fed at home. Some municipalities have leash laws for both cats and dogs, but most have leash laws for dogs. It’s still a good idea to follow these laws and leash your dog even on your own property. Whenever you let your dog out, go outside with your dog and hold it on a leash. Never leave your family pet outside unattended. Watching your dog while it is outside is not in control. If your dog runs after something or something runs after your dog, it will happen before you can react and you will not be able to run fast enough to intercede or catch your pet. It's best to go outside with your dog and hold it on a leash, even in your own yard. A dog off leash can spot a rabbit or squirrel and chase it across the street at the risk of getting hit by a car. Open yards provide easy access but fenced yards do not protect domestic animals. Coyotes are able to jump and climb very well. Even if a coyote can’t jump or scale your fence, it can dig under the fence or pass through an open gate. Electric fences are designed to keep your dog in but are completely ineffective at keeping other animals out. Electric fences don't provide any physical barrier; if something enticing enough on the other side interests your dog, many are willing to risk the shock and and pursue it. A dog on leash is the best way to protect your pet. If you love your pet, leash it! A healthy ecosystem is very important for our own well-being. 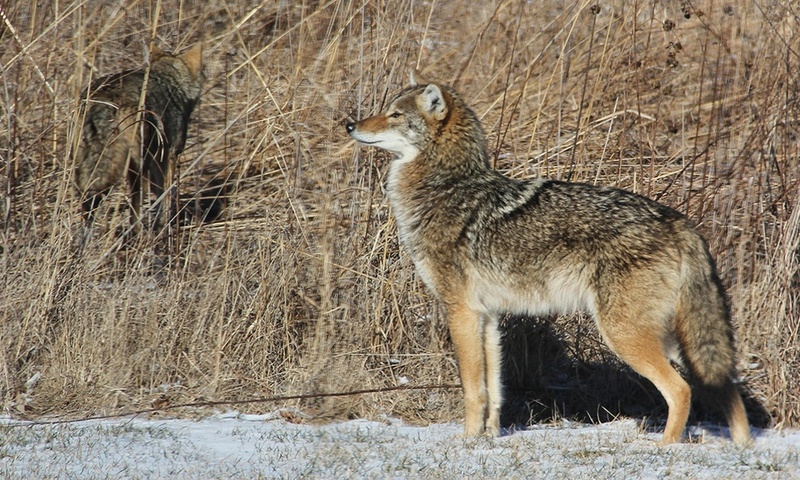 Coyotes help maintain the balance and health of local environments. They help moderate populations of other wildlife species — particularly rodents, which are the main component of their diet. Always supervise your dog and keep it on a leash — even in a fenced backyard. Coyotes can be creatures of habit, so if you see one at the same time and place while walking your pet, change your route or timing. If you have a small dog and encounter a coyote, pick up your pet. Please share this with all the pet owners you know in an effort to spread the word. Dan Thompson is an ecologist in the District's Natural Resources Department.